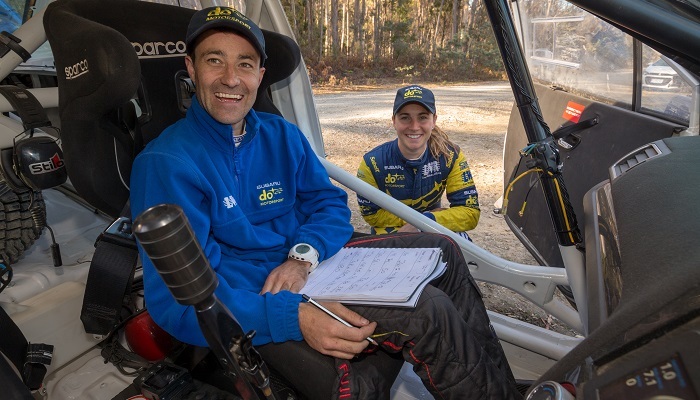 Subaru do Motorsport has confirmed its return to the CAMS Australian Rally Championship with 2016 victor Molly Taylor set to campaign with a new co-driver. Subaru will again compete with an All-Wheel Drive Production Rally Car (PRC) class WRX STI, prepared by Les Walkden Rallying (LWR) over the expanded six-round series. Following the decision of 2016 and 2017 Australian Rally Co-driver Champion Bill Hayes to step back from the factory team, Taylor has completed testing with respected New Zealand co-driver Malcolm Read, ahead of the team’s debut on March 3-4 at Eureka Rally, Victoria - Round One of the 2018 series. Molly said: “Bill has set the bar very high and we had to think long and hard about who could aspire to his level of ability and professionalism, but we’re confident we’ve found a great fit with Malcolm. Molly added: “I am incredibly grateful for everything Bill has put into the team and personally how much he has helped me to develop my career. We’re sorry to lose Bill’s expertise and experience, but also respect his desire to take on his own next chapter. A big focus for the team in 2018 is finding efficiencies in the turbocharged WRX STI, to remain competitive against the increasing prevalence of lightweight AP4 cars in the Championship. With prime challengers Harry Bates (Toyota) and Eli Evans (Mini Cooper) both opting for AP4, Taylor says every bit of weight saving and efficiency that can be gained from the WRX STI is being considered by the brains trust at LWR. “It’s a shame 2017 champion Nathan Quinn won’t be competing this year, however the field is shaping up to be bigger and more competitive yet again,” said Taylor. Based in Christchurch, New Zealand, new co-driver Malcolm Read began rallying in 2004 and now has more than 100 events globally to his credit. Colin Christie, Managing Director, Subaru Australia, said: “After just missing out on the Championship in 2017, Molly and Malcolm are on a mission to restore Subaru honours this year. “Les Walkden and the LWR crew are focused on ensuring the WRX STI is as lean and mean as can be. Round 1 of the Championship, The Courier Eureka Rally, Ballarat, 3-4 March, covers 16 stages over 212.52 competitive kilometres. Six forest and two shire road stages are due to be run twice. Four stages are the same as 2017, while three retain elements of 2017, with one all-new, featuring a bitumen road through an area known locally as Devil’s Kitchen. It traverses some shire lanes and even private property.